This tour starts and ends in Denpasar, Bali. This is a 24 day long bird trip Papua. We try to keep the price low, because we have chosen to travel by cheap local transport, when there is an option. When we’re out birding, there are no hotels. We stay in local houses where the accommodation is simple and rooms have to be shared. Toilets and washing facilities will be very basic, but available in every village we stay. Bring your own sleeping mattress and mosquito net. The trekking will be moderate to tough (tough in Arfak Mountains). In Nimbokrang we will use motorbikes – with experienced drivers – to get closer to the birds. Regarding the itinerary; we travel in a developing country, where flight schedules change without notice and forces of nature are powerful. An open-minded and flexible attitude towards sudden changes will be helpful. We’ll do everything possible to stay on our itinerary, but it is sometimes difficult. Day 1 Mehd will meet you at the airport in Denpasar. Briefing and dinner. Flight to Biak late at night and landing in the early morning. Day 2 BIAK: We leave our luggage at the hotel and get out birding with packed lunch or stop for grilled tuna on the beach. Spend the night in hotel. Day 3-5 We’ll go by taxi to the north and stay for two nights in a village in Supiori. Simple accommodation and food. 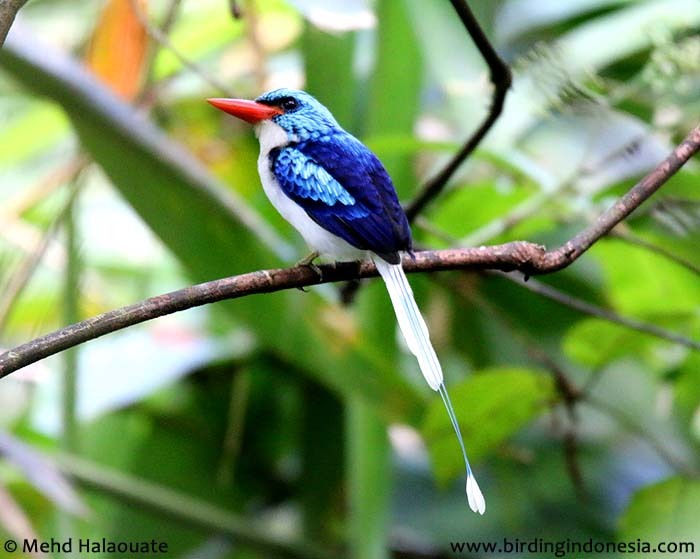 Biak Coucal, Biak Paradise Kingfisher, Black-winged Lory, Rosenberg’s Lorikeet, Biak white-eye, Long-tailed and Metallic Starlings, Biak flycatcher, Biak Scoops Owl and Emeperor Fairy-wren. Day 5 Back to Biak town in the afternoon and have a hot shower at the hotel. Day 6 Early morning flight from Biak to Jayapura. Day 6-10 NIMBOKRANG: We have breakfast at the famous Mickeys restaurant in Sentani before an hour taxi drive to Jamil in Nimokrang. 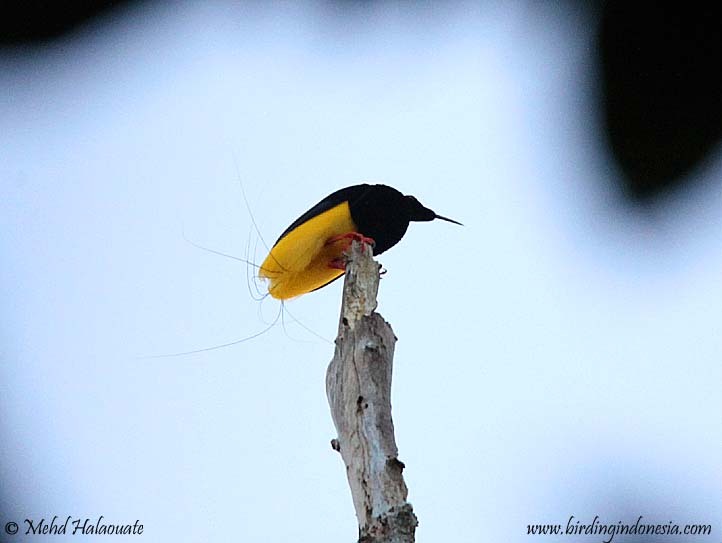 Here we have at least 3 full days and 2 half day birding for all the Nimbokrang specialities. We stay for four nights and follow Jamil to all the birding hot spots. We stay either in Jamil’s front porch or in his guest house that he is currently building. Accommodation is simple but clean and food is good. Day 10 We set off back to Sentani to catch the midmorning flight to Manokwari. Day 10-16 ARFAK: We buy provisions at the local market before heading for Mokwam village in the Arfak Mountains by 4×4. The road up to Mokwam is very steep (20% inclination at some places) and we will stop for a rest on the way up. We will stay with our guide Zeth Wonggor in his guest house. 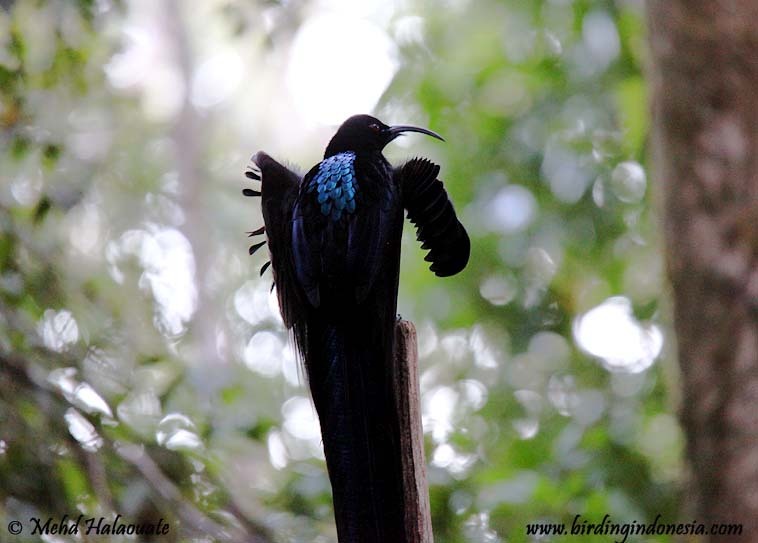 We stay at the guest house and probably 1 nights in the jungle, 1 in the Garden house for Western Parotia and Vogelkop Bowerbird, 1 night in the Japanese camp for Arfak Astrapia and Black Sicklebill among other gems. Zeth has built hides for watching Magnificent Bird Of Paradise, Vogelkop Bowerbird and Western Parotia. We also hope to see Long-tailed Paradigalla, Mountain Peltops, Black-breasted Boatbill among others. Day 16 We leave Mokwam in the morning to catch the lunch flight to Sorong. We check in at the hotel and have a lazy afternoon with free activities. Day 17 WAIGEO: We leave from Sorong to go to Waigeo by speed boat. The boat leaves in the early afternoon and takes about two hours to get to Waigeo. Day 17-22 We stay in a local village and bird for Red and Wilson’s BOPs. Day 22 We return to Sorong from Waigeo by speedboat in the afternoon. We spend the night in hotel. 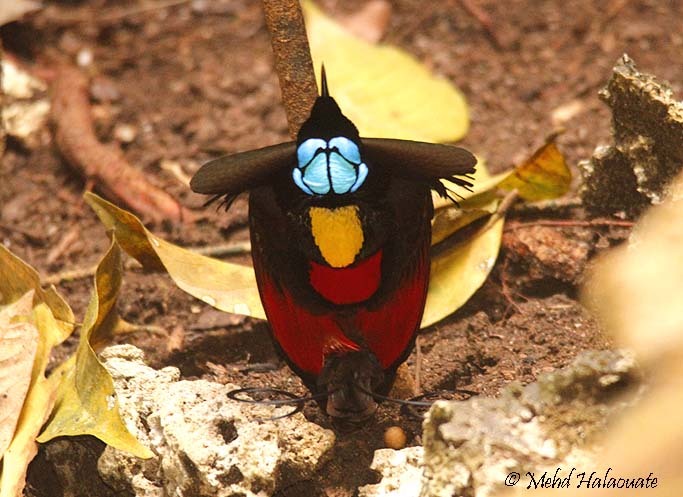 Day 23 We spend another night at the hotel and spend all day birding the outskirts of Sorong. Day 24 Flight back from Sorong to Jakarta with an overlay in Makassar, South Sulawesi. Lunch together either in Makassar or in Jakarta.